Now seen by over 250,000 fans direct from Ireland, Europe's No. 1 country music show "The Legends of Amercian Country" returns for another fantastic night of toe tapping country classics. 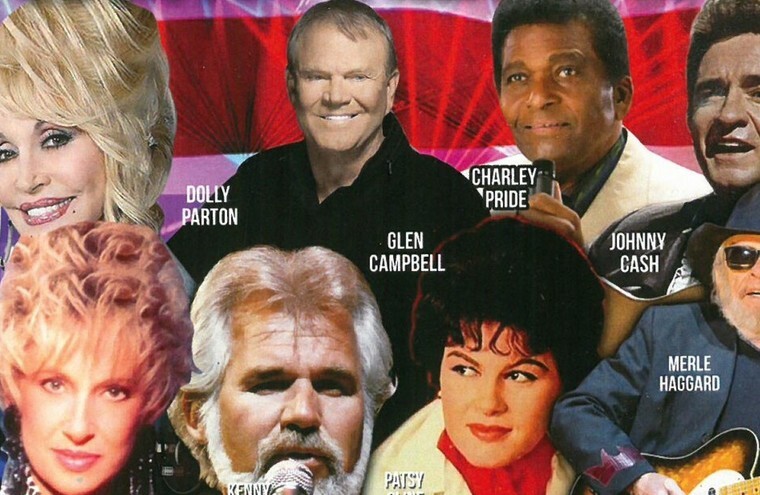 The 2019 tour will showcase highly acclaimed tributes to Dolly Parton, Johnny Cash, Merle Haggard, Patsy Cline and Kenny Rogers and 5 brand new tributes to icons Jim Reeves, Charley Pride, Glen Campbell, Tammy Wynette and Don Williams and countless other well known hit songs in this must see extravaganza. The show features 4 fantastic singers who are all backed by the superb Keltic Storm band and coupled with an authentic stage and set that will transport you all the way to Nashville and back. One things for sure if you like country music this is the only show in town!Tickets are £21 and available from the Nevis Centre reception.